Rihanna and race car driver Lewis Hamilton have been getting close lately and her ex-boyfriend Chris Brown seems to be getting jealous of their budding relationship. 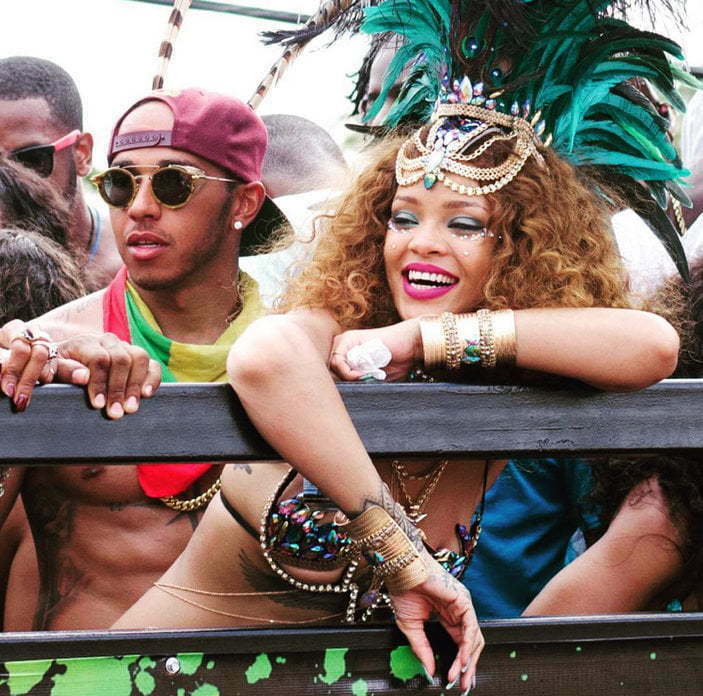 The Bajan pop star and the Formula One race car champion were spotted dancing at Barbados Kadooment Day carnival a few weeks ago. Since then they were spotted partying together on two separate occasions in New York City. On Friday night, Rihanna and Hamilton were spotted entering Griffin nightclub in the Meatpacking District in NYC. They both arrived and left the venue separately. All signs are pointing that there is a relationship in the making, but Chris Brown seems to not enjoying it. Sources close to the Bajan pop star told us that Brown hit her up asking about her and Hamilton. “He (Chris Brown) asked her whats the status of their relationship and she told him that they are just friends hanging out,” sources confirmed with Urban Islandz. “She (Rihanna) sense that there are some jealous and playfully asked him if he is jealous and his response was no, but she knows him very well and know when he is being jealous or not. She really likes to rub it in that this is what you lost, but it’s good that they are maintaining a healthy friendship,” sources revealed. Rihanna was also linked to soccer star Karim Benzema in recent weeks, but our source told us that he is in the friend zone and that they are just two fans of each other hanging out. Brown has also been linked to a Karrueche Tran look-a-like name Ammika Harris. But sources close to the “Private Show” singer confirmed that the rumors are just gossip. 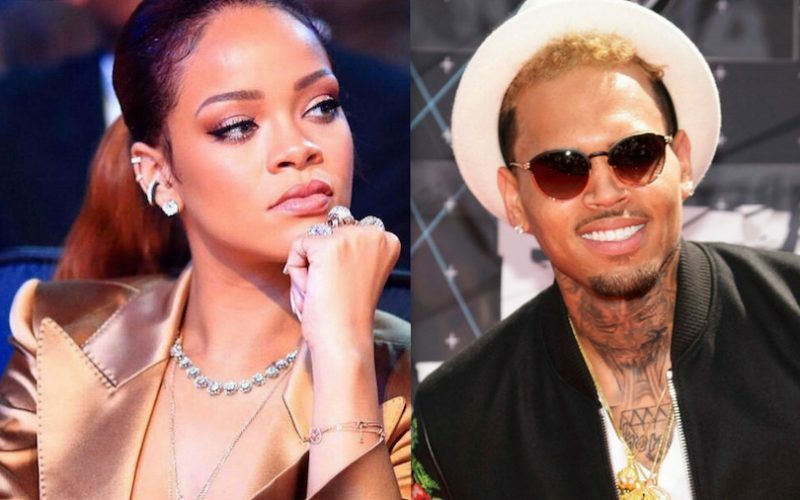 Both Rihanna and Chris Brown are single at the moment and several of their fans are rooting for them to get back together. Its true Rihanna and Chris are secretly talking cuz I know someone who work for her that told me that they sometimes act like besties lol. Am not sure about the jealous part though cuz Chris is a real womanizer and yes he is smashing someone but I won’t say who. Why would Chris call Rihanna and ask her about her relationship when he had a relationship for over a year with someone else. Either these blogs are bogus or Chris is under the impression that he and Rihanna were getting back together. If that’s true. When her and Chris began speaking again, she probably already had plans to meet with Hamilton. So Chris has to wait his turn.